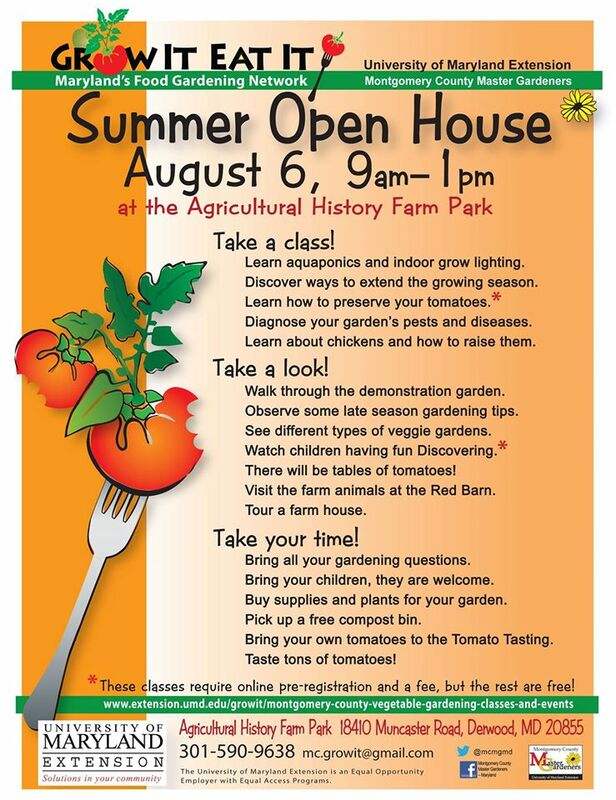 Cucumber issues – and GIEI Open House! This is a question that MGs get a lot during the summer (not the barbell part, usually). The answer: the poor thing was incompletely pollinated. To encourage more pollinators (mostly bees) to visit your plant’s flowers, put in lots of herbs and annual or perennial flowers that will provide them plenty of nectar and pollen. Sometimes there will be a drop-off in pollination anyway, due to wet or (we could only hope) chilly weather, but the bees will come back if you help them along. And yes, you can still eat the misshapen fruits, though often they start to rot and fall off by themselves. Anyone else having a difficult cucumber year? 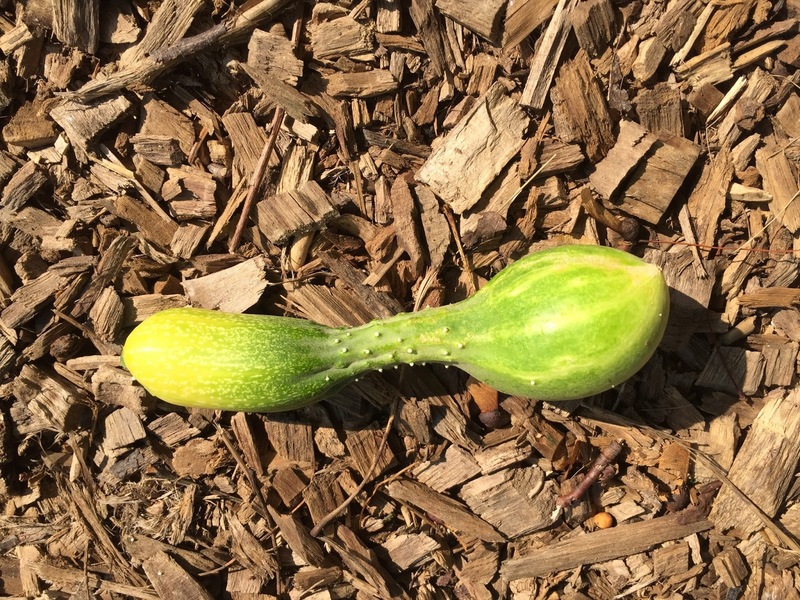 Like squash, cucumbers seem to be either too abundant or complete failures. This year, at the Derwood demo garden, we’ve had a hard time getting our cukes to grow tall enough to climb their new gorgeous trellises (which you can admire, unfortunately all too clearly, at our Grow It Eat It Open House this Saturday – poster below!). Slow start due to weather, munching by cucumber beetles, heat stress, a bit of disease – some years it’s just every problem at once! If you’re also having a terrible cucumber year, try reviewing the Grow It Eat It cucumber profile page, and maybe you’ll find the information you need to fix the problems. Quick suggestions: floating row cover over the young plants; a late start to the season to avoid the worst of the cucumber beetles; frequent watering; growing on a trellis up off the ground. And crossing your fingers! Here’s our upcoming event – it’s going to be great!